Is your dam ready for the rain? I hope you a had a great weekend. A lot of times we ask God to bless us. When we are at the lowest point of our lives, we pray to God for blessings to overtake us (see Deut. 28:1-2), but do we ever take time to prepare ourselves for the big blessings we need from Him? If a million hit your bank account, what would you do to multiply it? Few months ago, we complained and prayed to God for rain. It earnestly pleaded with Him for his saving grace. Our dams were running out. Experts were suggesting that by 2021, we were going to have a high water shortage in the country. The department of water affairs created adverts on media platforms with efforts to make us save the little water we have. There are a number of times in the Bible when the children of Israel were faced with serious droughts in their country. Having trust in God, they looked up to the heavens and prayed to God. God answered their prayers and sent rain. Things were restored to their normality. Just like the Children of Israel, this past week something happened in the heavens. God opened up the heavens and poured out massive rain into various parts of the country. Unfortunately, some people lost their lives whilst others lost theirs houses and cars. What seemed to be a blessing, quickly turned into a curse in a matter of three days. The worst part is, when clouds gather, people are already fearful. Could it be God’s doing or we messed up? A question we should be asking ourselves is, “do we have enough dams to carry the amount of water from the rain?”, “do we have systems in place to carry the floods to our dams?”. 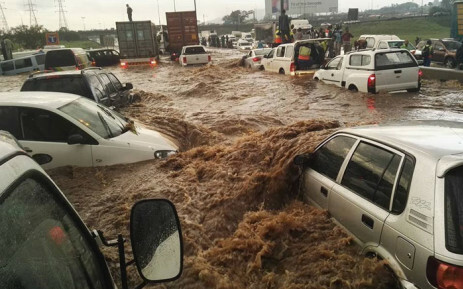 I watched as floods ruin buildings, cars and take lives in Gauteng. It was a painful experience as people shouted to God for help in the midst of their troubles. In my head was how we as a province failed to create drainage systems that can handle the floods and deposit water into the dams we have. The worse part is that the Vaal dam in Gauteng was not affected at all. Most of the times we ask God to bless us, but we are not ready to receive blessings, as a result they become too heavy for us. We do not create or prepare environments for us to receive blessings from God. We ask for rain to fall, but we don’t have systems to carry the amount of rain that might fall upon us. Are you one of those who still isn’t ready for God’s blessings? Prepare yourself, God is about the rain blessings in your home.